Did you know you can get Amazon gift cards in return for telling your friends about Magoosh? Many of you often tell us that Magoosh is so awesome that you find yourself spreading the word, and we’re very thankful! As part of our thanks, we will send you a $10 Amazon gift card for each friend of yours that also buys a paid account (GRE or GMAT; Math, Verbal, Premium, or 30-day– it doesn’t matter what kind of subscription, as long as it’s a paid one! :)), and you can do this for as many friends as you’d like. Additionally, if you refer 3 friends, you’ll also receive a snazzy Magoosh t-shirt (email us at support@magoosh.com to claim yours!). 1. 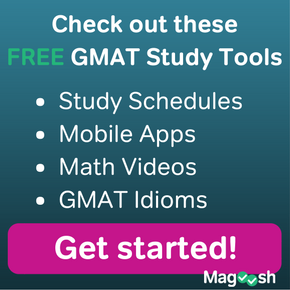 Log in to your premium Magoosh account: http://gmat.magoosh.com/login. You cannot earn referrals unless you have a paid subscription to Magoosh! Everyone has a unique code that will come after the “referrer_code=” section in the link. 4. Copy and paste your link and send it to your friends. Commiserate with them about tough questions, compare stats, encourage each other to study, etc.! 5. For every friend that signs up for and keeps a paid Magoosh subscription using that link, you will get a $10 Amazon gift card! You can keep track of how many you’ve accumulated in the section that says “Paying referrals”. 6. We can ONLY award gift cards to students who use the links. So even if your friend signed up because you told him to, you won’t receive credit for it unless he used your particular referral link. This also means we won’t be able to retroactively credit you for any times in the past that you’ve told your friends to sign up for Magoosh (though we still definitely appreciate it greatly! :)). 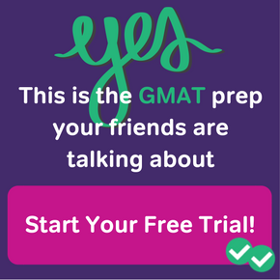 Basically, if you have any friends, family members, or classmates who might be studying for the GRE or GMAT and you think they might want to use Magoosh to study, send them your referral link. 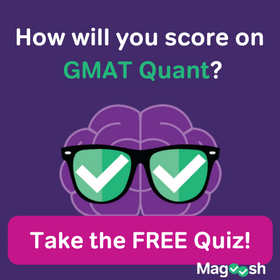 Very rarely will studying for the GMAT make you money– usually it just costs you a fortune, so I’d definitely recommend collecting as many referrals as possible :). We are incredibly grateful for your support and consider ourselves very lucky to have users who are so enthusiastic about telling their friends about us. Let me know if you have any questions about how this works!